Hiking and skiing at the largest waterfall in the Lower Peninsula! 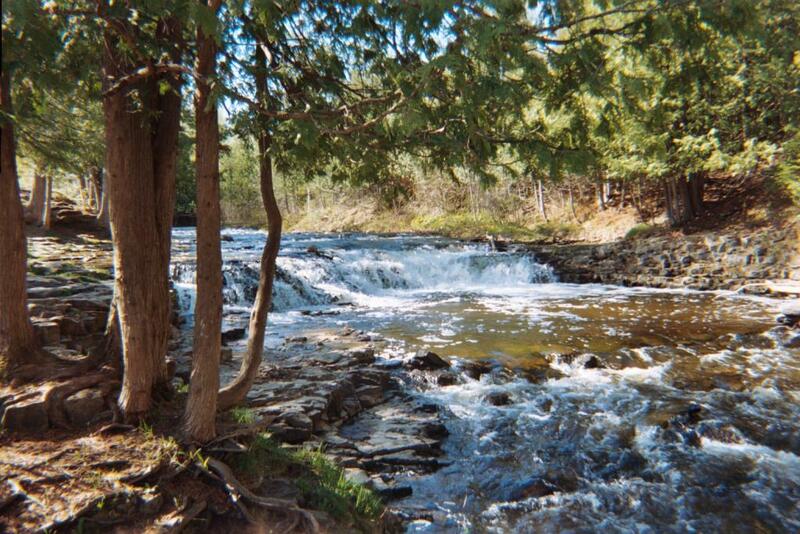 Ocqueoc falls are the largest waterfalls in Michigan's Lower Peninsula. At this site, you can see where the Ocqueoc River has cut a channel through the limestone bedrock that underlays the entire region. The remnants of an old mill race can be seen just above the falls. This area is also the trailhead for the Ocqueoc Bicentennial Pathway, which provides miles of hiking and x-c skiing opportunities.